Ken Kovach has built upon his advanced studies in sociology to develop a 30-year-plus professional practice in the fields of human resources development and organization development. He has special expertise in the fields of: coaching, creativity and innovation, leadership development, ethnic/minority group relations, and strategic planning. Ken’s extensive experience as coach, consultant, and designer/presenter of educational and training programs has engaged him at all levels and ranges of employees, managers, and senior leadership in the business, governmental, and not-for-profit sectors. He has worked with Fortune 500 companies as well as family-owned businesses and individual entrepreneurs. As a highly-skilled group facilitator, he has conducted hundreds of sessions across the United States and internationally. For 10 years he has served as lead facilitator for NASA’s “Linking Leaders” Program – a national program for developing statewide action plans for math, science, and technology education. 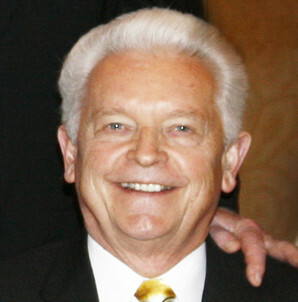 • Served in numerous leadership roles in professional and community associations including President of the Board of Trustees of the Greater Cleveland Interchurch Council and Vice President of The City Club of Cleveland; he is currently President of the Board of Trustees of the International Services Center and is a member of the Board of Trustees of the Heights-Hillcrest Regional Chamber of Commerce and a member of the Board of Trustees of WIN (Worldwide International Network) – Cleveland. • Currently is an Adjunct Faculty member of Bryant & Stratton College, Cuyahoga Community College, and Notre Dame College; he has taught at Cleveland State University, DeVry University, and Lakeland Community College. • Currently serves as Executive Director (pro bono) of the International Community Council. • Currently is in his 41st year as Choirmaster and Ecclesiarch at St. Theodosius Cathedral. • On December 31, 2005 he completed 211/2 years of service as a member of Shaker Heights City Council. Formal academic work includes graduate studies in comparative theology at religious institutions in the United States, France, and Switzerland. • He is a graduate of St. Tikhon Theological Seminary, St. Vladimir Theological Seminary, St. Sergius Theological Academy in Paris, France and The Ecumenical Institute in Geneva, Switzerland. • He received a Masters degree in sociology from Case Western Reserve University and completed course work for the doctoral degree in Sociology. • The Western Reserve Alumni Association awarded him the “Young Alumnus of 1988 Award” for achievements in career and contributions to the civic and cultural life of Cleveland. • International assignments have involved work in Austria, France, Poland, Russia, Switzerland, and Ukraine. He established an ongoing Management Development Program as a joint venture with a private school of Business and Administration in the Volgograd region of Russia and in cooperation with the City Administration of Volzhsky. He was awarded the Order of the Crest of the City of Volzhsky and Medal of Honor for Voluntary Service for 10 years of dedicated service to the people of Volzhsky. He was made an Honorary Member of the Don Cossacks in the Don River region of Russia. In January and February of 2008, Ken completed his 19th trip to Russia and was in the City of Volgograd representing the City of Cleveland at the special celebration of the 65th anniversary of the Victory of the Battle of Stalingrad as a guest of the Mayor and Administration of the city. 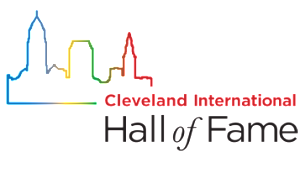 Special awards include the 2007 International Service Award from the Cleveland Chapter of Rotary International and the 2008 International Service Award from the American Nationalities Movement of Greater Cleveland. In 2007 he received the award of “Friend of India” from the Federation of India Community Associations for his assistance with the establishing of the India Cultural Garden.